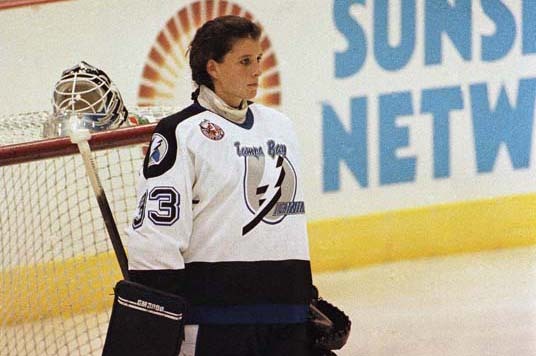 In 1992, Manon Rheaume became the first woman to play in an NHL exhibition game. 27 years later marked the first time four women competed in the NHL All Star Skills competition. 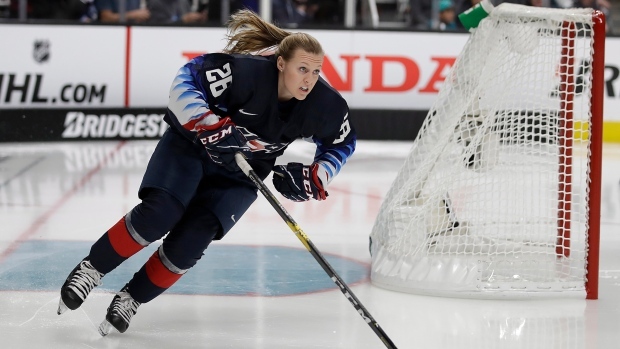 Kendall Coyne Schofield, who plays for the Minnesota Whitecaps in the NWHL, became the first woman to compete in the competition breaking down barriers for women in hockey along the way. Coyne Schofield finished her lap in14.346 seconds, and came out in seventh place out of eight skaters. She beat out Arizona forward Clayton Keller’s time of 14.526 seconds. Connor McDavid came in first with a time of 13.378 seconds. The biggest story was yet to come. U.S women’s hockey star Brianna Decker participated in the passing challenge on Friday night as well, and this is where things got interesting. The NHL was NOT timing her, but fans sure as hell were. Her time of one minute six seconds was clocked by fans on social media, however Elliott Friedman reported the NHL went back to check her time and found that it was “around 1:12-13”. That ensured that Oilers Leon Draisaitl was the official winner at 1:09. Guess the oilers have to win at something?? So, long story short, Decker won by three seconds over the men’s best time, but since she was “demonstrating” the time was unofficial, she wasn’t awarded the $25,000 prize money. The hashtag #PayDecker was born, with many NHL players chiming in, following CCM to do the coolest (and right) thing. It’s a well known fact that women athletes are paid pennies compared to their male counterparts. The world knows it, hence #PayDecker. Draisaitl earls a total of nine million dollars a year, and so many thought Decker cold use that cashe more. And here’s why. CWHL players make a TOTAL between $2,000-$10,000 a YEAR. NWHL players $10,000-$26,000 a couple seasons ago before the league announced salary cuts. All of these salaries are paid in Canadian dollars, meaning as of 2017 that $10,000 converted to $7,921 USD. To put things into perspective,according to a report published by the Bureau of Labor Statistics, dishwashers in the U.S. earned an average of $18,930 per year in May 2012. Look at Phil and Amanda Kessel. Phil earned $9 million a year, while Amanda’s annual salary was $26,000. Amanda who is part of the US Women’s National Hockey team, along with other players boycotted the 2017 world championship unless their demands were met. Those demands included $68,000 annual salary, childcare and maternity leave, and a national youth development program for girls. To put things into perspective, USA Hockey spends about $3.5 million a year on programs for boys, but has nothing similar for girls. So here we are. At the 2019 NHL All Star game. The NHL got inviting women to showcase their talent right. They got it wrong when they failed to recognize them as equals. This is the issue. The NHL needs to do better, and women’s hockey needs to do better in giving their athletes a liveable wage. We all need to do better in supporting women’s hockey. This weekend and the #PayDecker movement proved that we are on the right track, but we still have a long way to go. A couple weeks ago, I had the chance to attend an event empowering women in hockey, which you can read on our site. 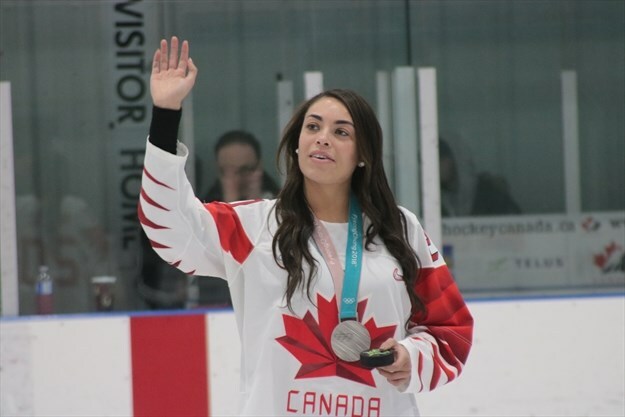 On the panel was Sarah Nurse, a player for the Toronto Furies. I put her message in my review and I would like to share it with you again, as it hits the nail on the head after this weekend. That’s it. It’s so simple, yet so difficult and why? All these women are asking for is to earn a liveable wage so that they can work and earn a living playing the game they love, and we love watching. They aren’t asking to become NHL players. They love women’s hockey. They’re asking to be recognized when it comes to equal pay for the word they do, with frankly more responsibility.